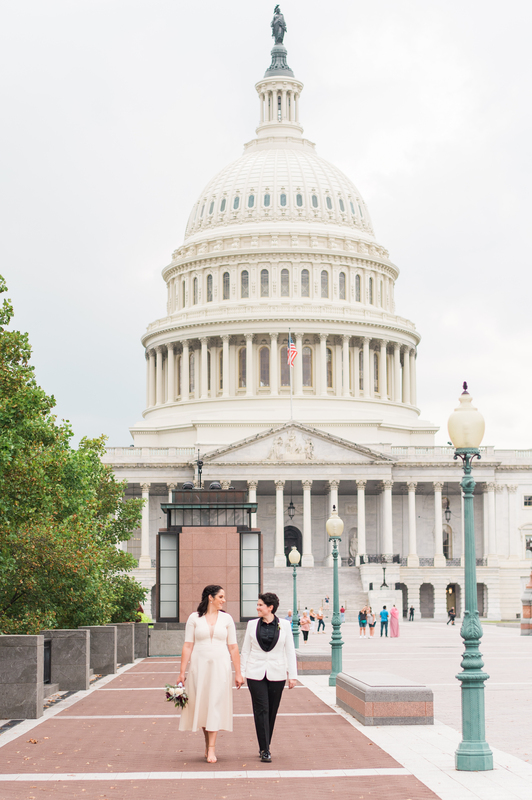 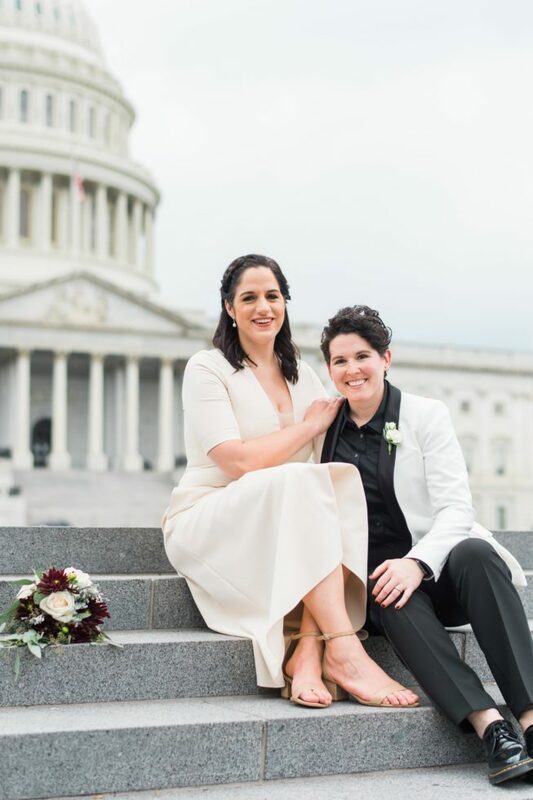 Meghan Berlingo and Kasey Dorris started their adventure together across the country in Washington state. 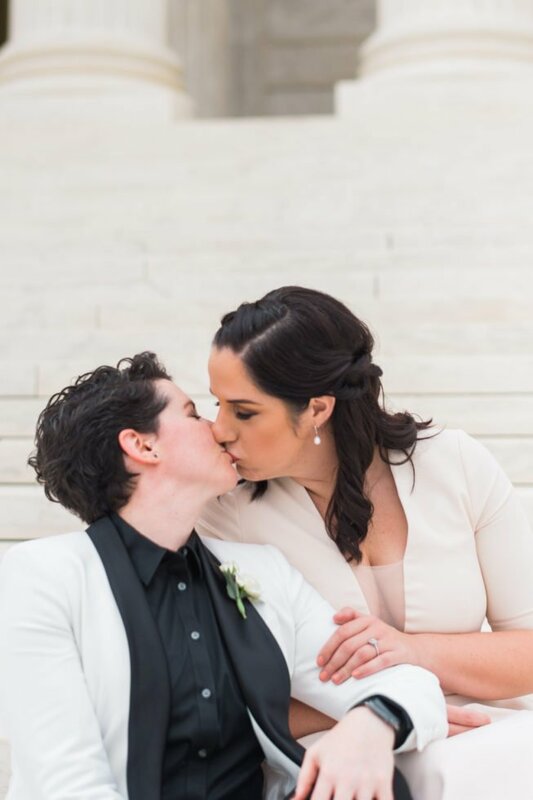 Meghan was finishing up graduate school at Washington State University and Kasey had been living and working in Spokane when the two first met on a dating site. 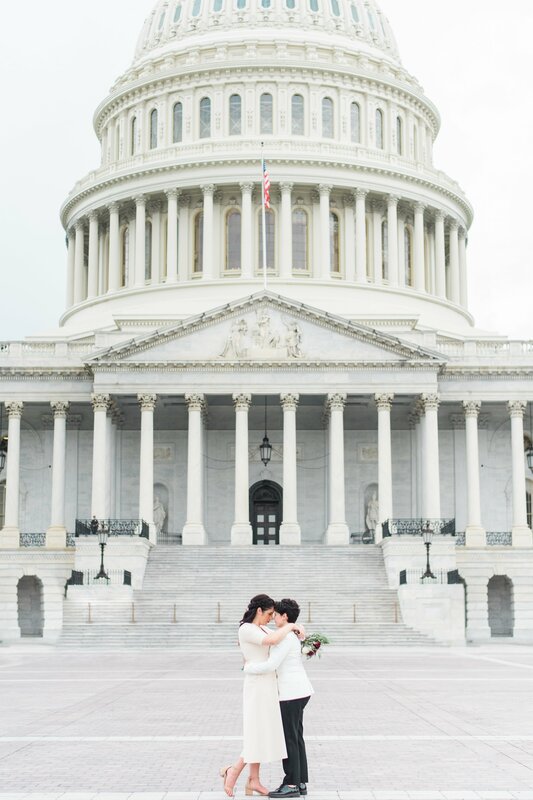 Four years and two moves later, the couple landed in the nation’s capital. 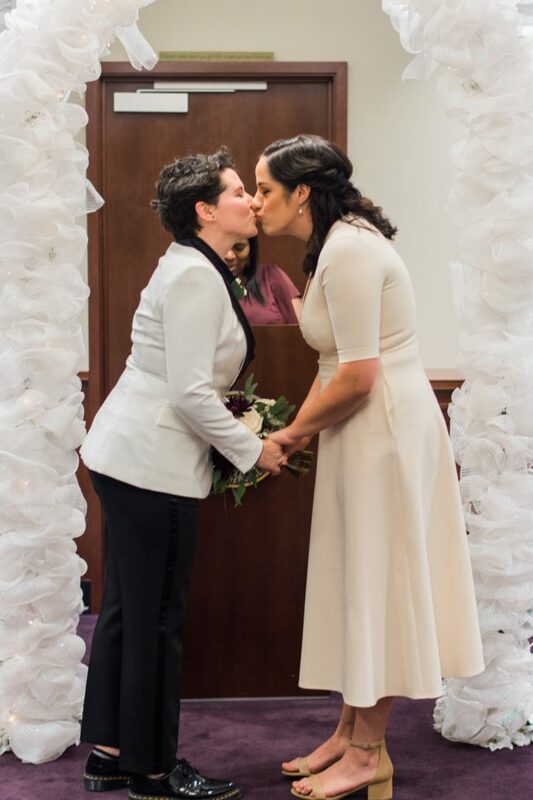 The idea of getting married seemed natural. 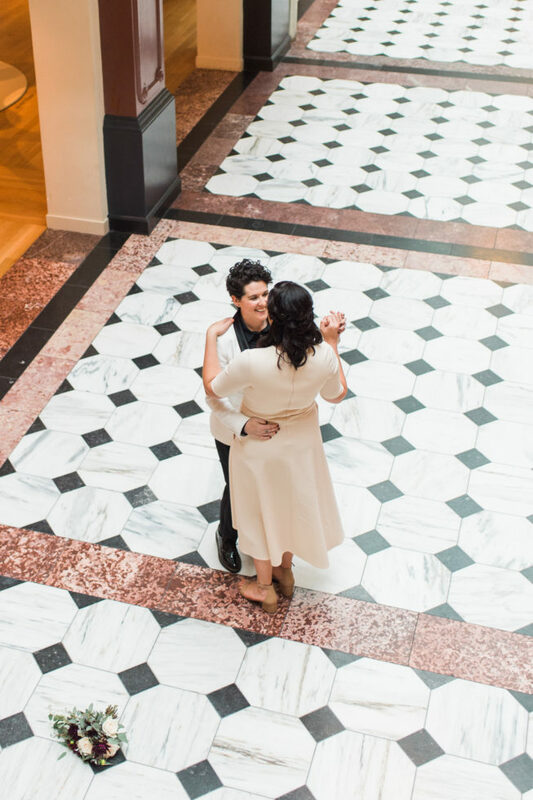 “One day Kasey asked me if I wanted to go buy an engagement ring, and I said yes. 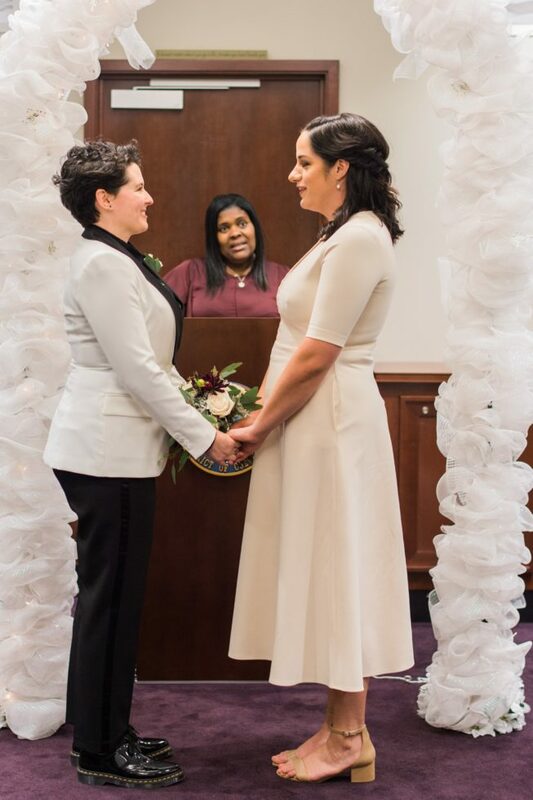 I bought her a ring shortly after,” says Meghan. 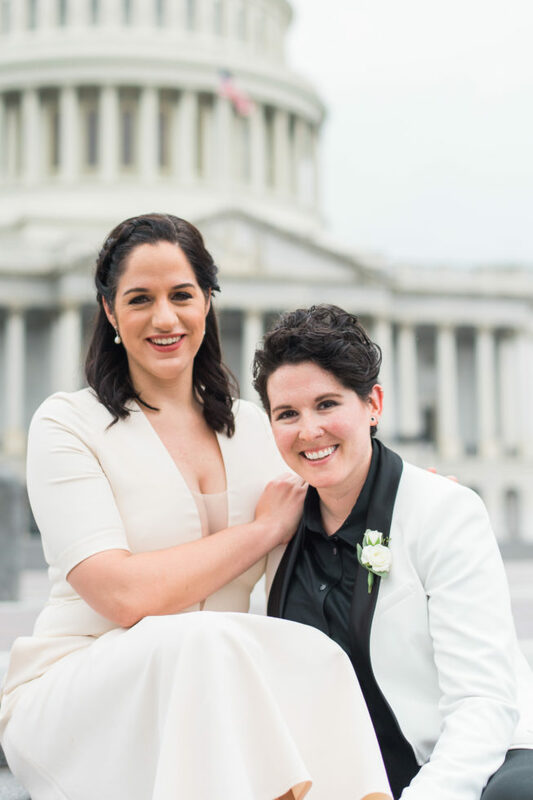 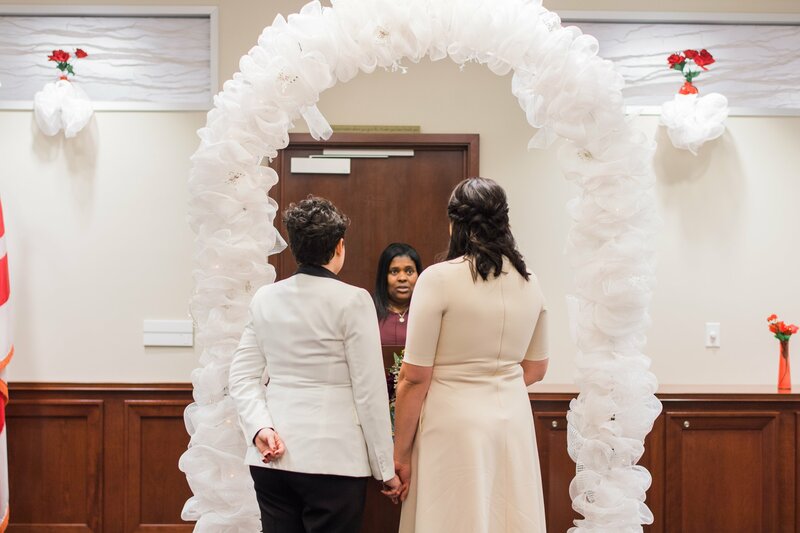 The couple took a “pre-moon” to London and returned to DC to marry at Moultrie Courthouse. 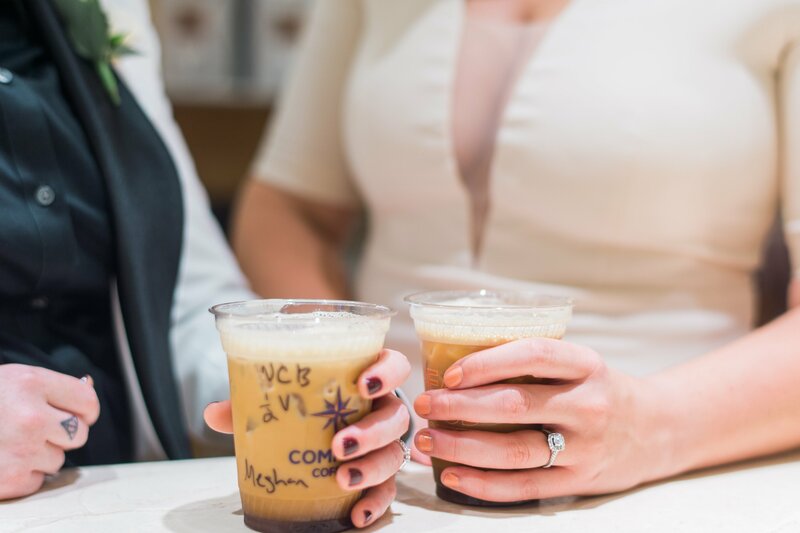 Meghan and Kasey skipped the traditional wedding reception and instead opted for a more intimate outing. 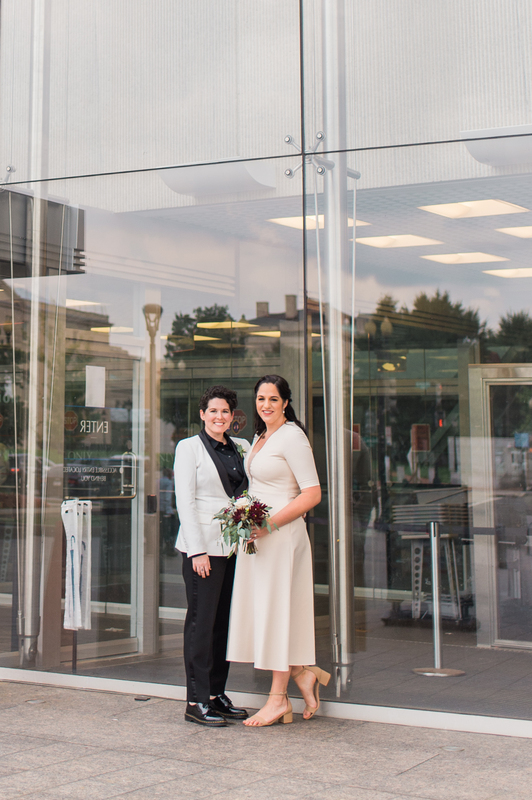 After the ceremony, the newlyweds took to the streets of DC’s Chinatown area to celebrate. 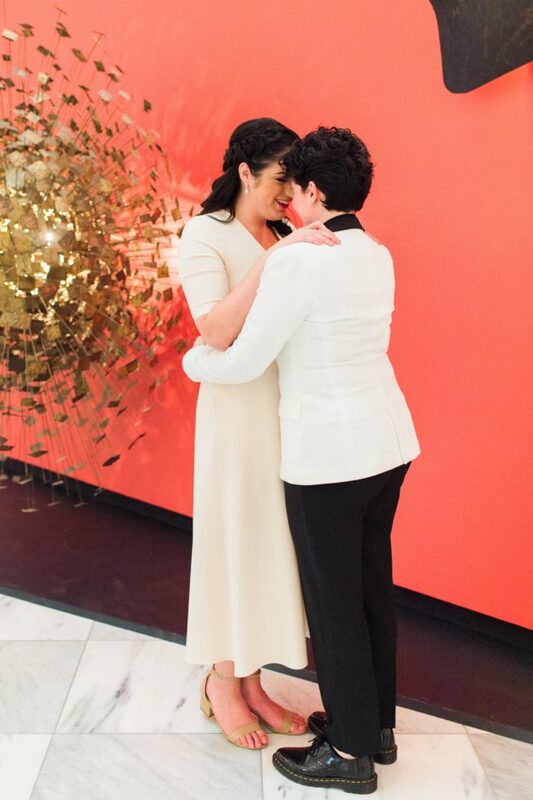 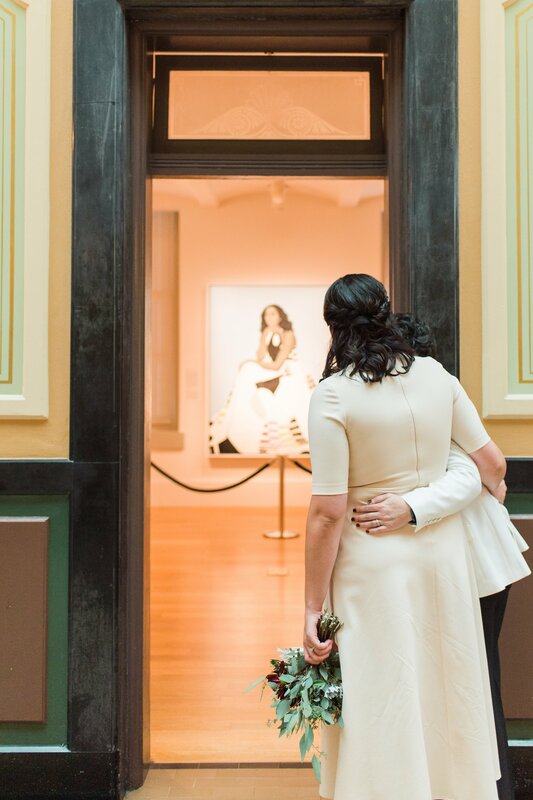 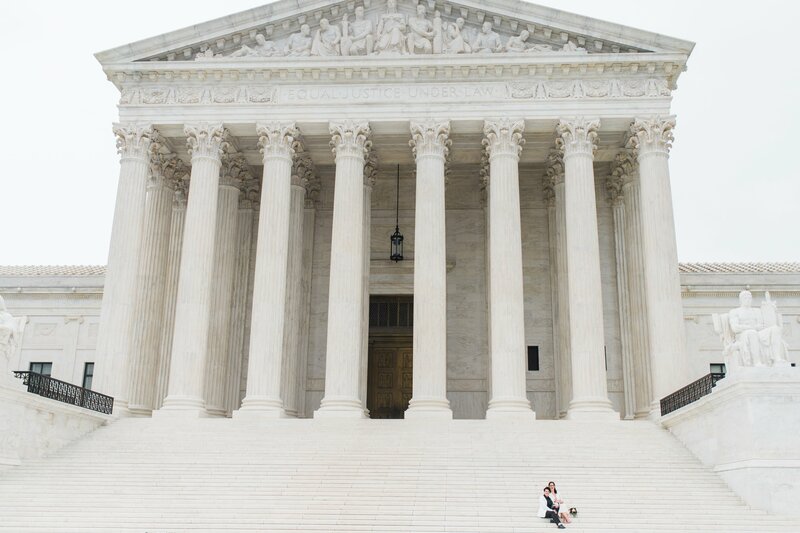 Decked out in their wedding attire, the couple visited the National Portrait Gallery and posed for pictures with notable paintings including Michelle Obama’s portrait and Nelson Shanks’s The Four Justices. 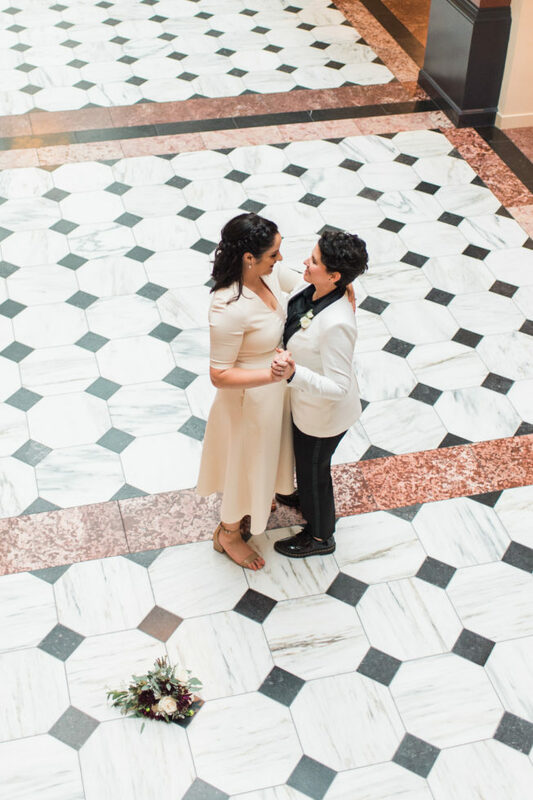 The couple held their first dance in the halls of the gallery, and later spent some time at the local Compass Coffee. 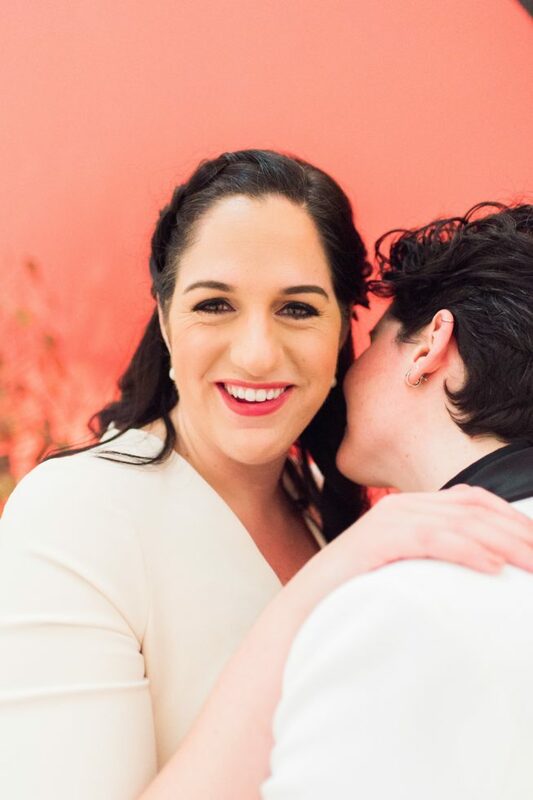 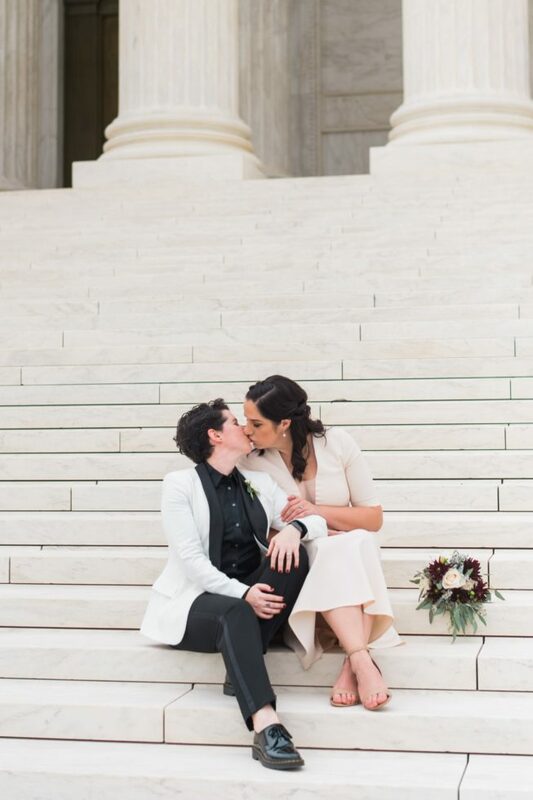 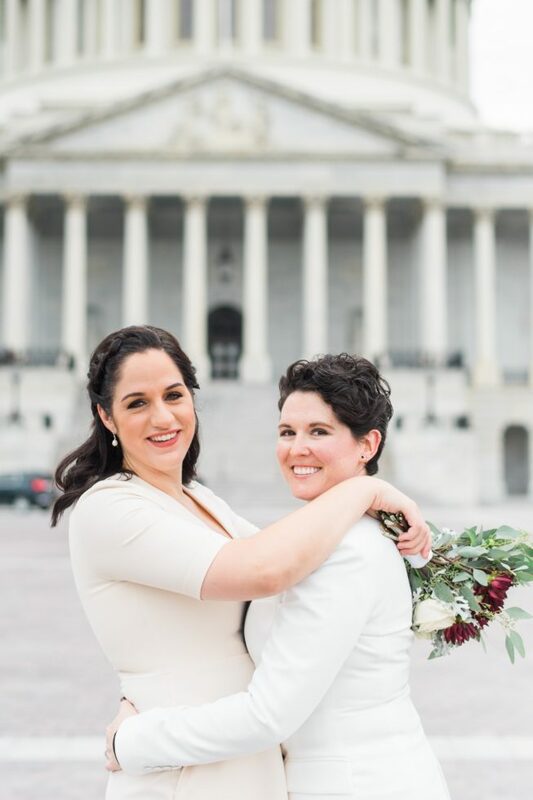 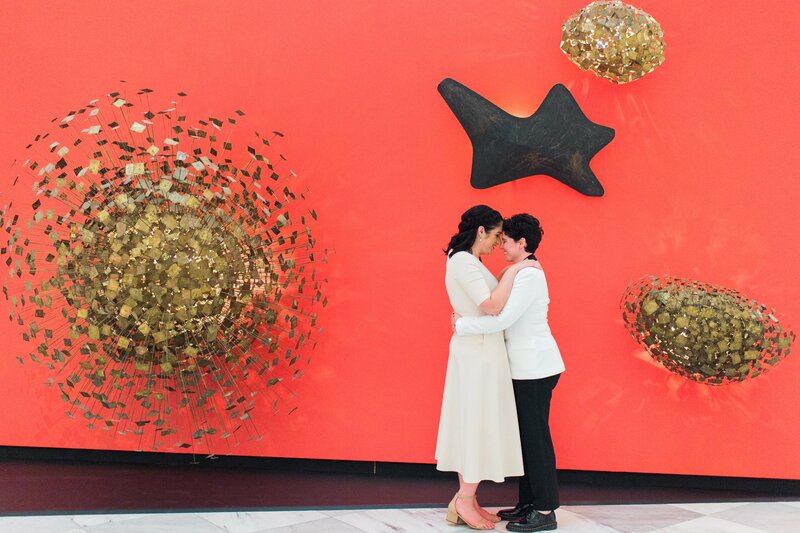 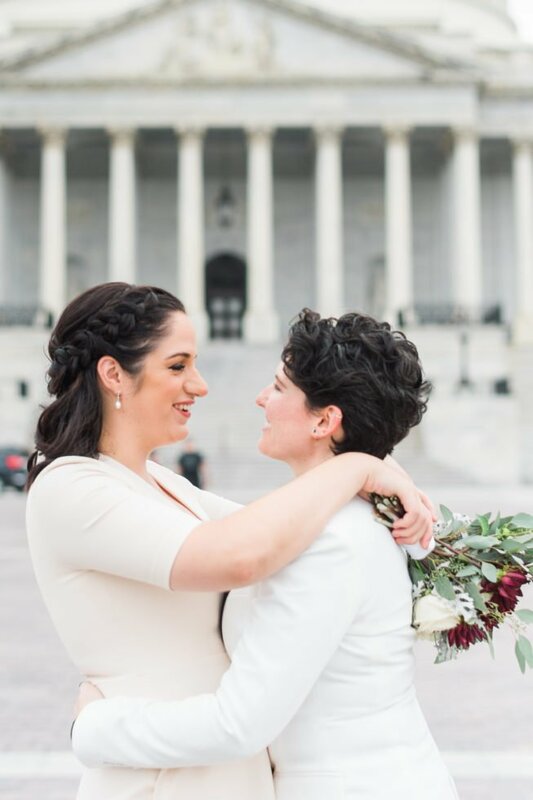 For Meghan and Kasey, these special moments were some of their favorite. 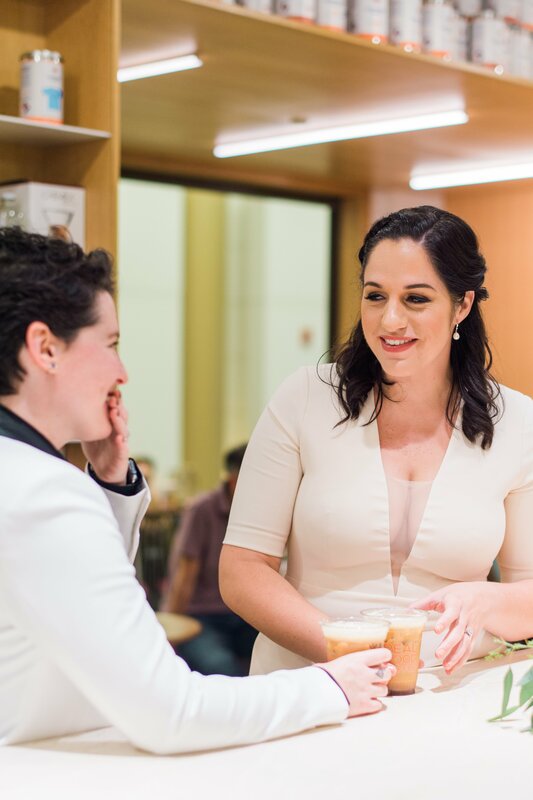 “It had just started to rain so we went to grab some coffee—all dressed up,” says Meghan.